Hello! It's been almost a month since we last shared some stuff! So there's a lot to go over! 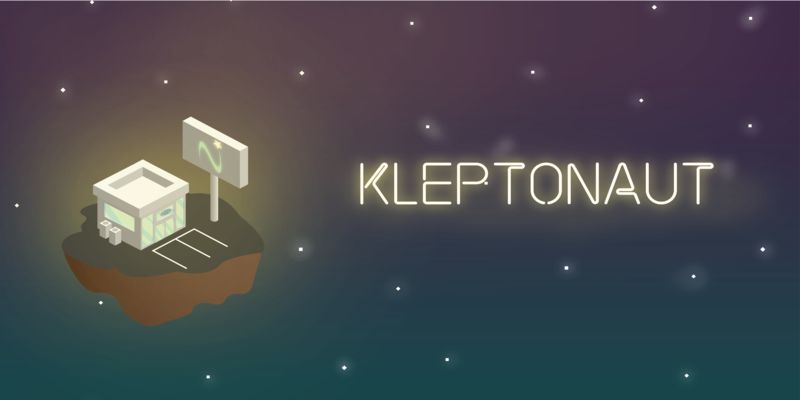 Most importantly, KLEPTONAUT Update #1 is here! It features some new levels we've been demoing around the last few weeks, in addition to other important features! We want to thank everyone that played in person, streamed, or recorded the game and provided amazing feedback. Keep it up! + Settings menu, adjust volume levels and reset game save from the now functioning settings menu. + Camera controls, the camera will now pan when the cursor is moved to the edges of the screen. First of all, if you hadn't heard, we were graciously rewarded the Grand Prize at the Sammy Showcase. Thank you to all the judges and professors! A few days later we went to to LA to show our game at The MIX @ E3. The event was super nice and we had a lot of fun. Shout out to all the great devs we met! Next was graduation, spending time with family, and moving out. Download the new update right here! Sammys, The MIX, and more!